Tasmerelda is a classic fairy tale poem much like the beginning portions of the Sleeping Beauty, but tells the story of a princess kept prisoner by an evil magician who thereby lures a brave knight to the castle to rescue Tasmerelda. In my version the evil magician is more powerful than the knight, and is only toying with him. 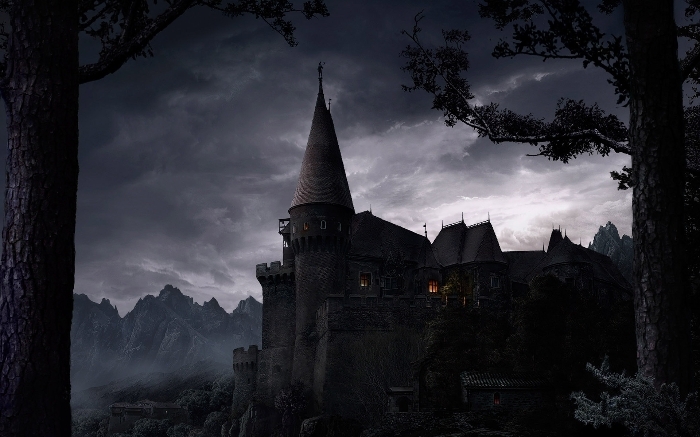 Once the knight is defeated, the magician puts the castle and all its inhabitants into a spell and deep sleep – forevermore. A best fantasy poem.